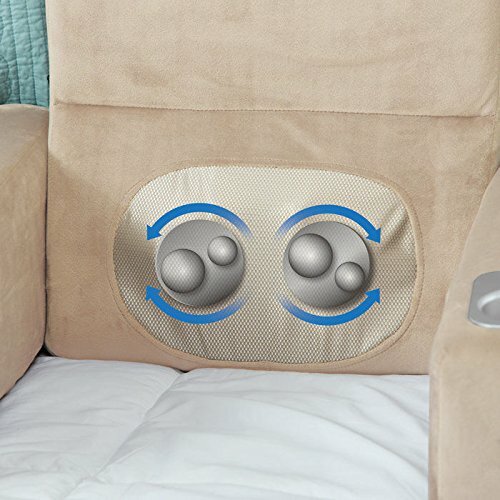 Brookstone's Nap Shiatsu Massage Bed Rest provides ultimate relaxation. Powerful Shiatsu nodes offer a relaxing lumbar massage to help release muscle tension before going to bed. Soft, comfortable foam inside provides great support. Ultra-soft NAP fabric outside feels luxurious against your skin. 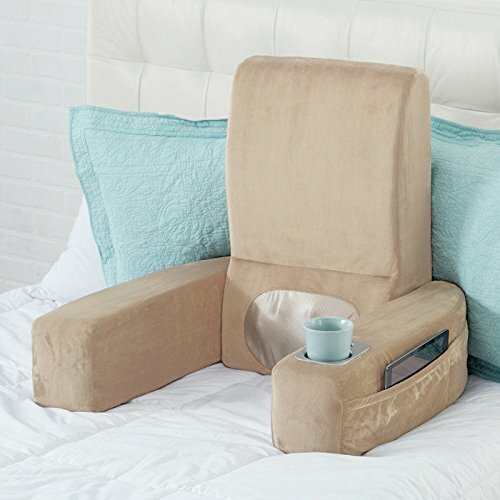 Padded flap covers the massage nodes for comfortable lounging, or can be used as a headrest while enjoying your massage. 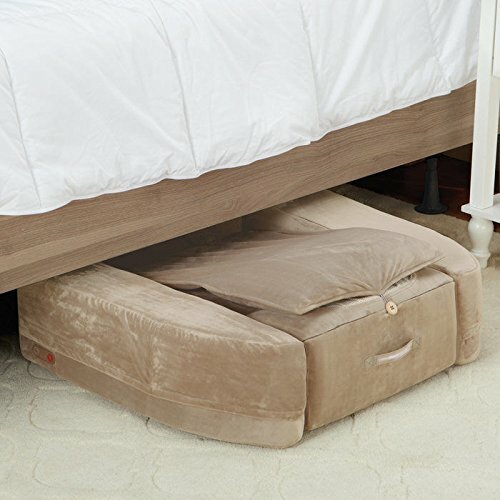 Folds to 8" high for easy storage under your bed or in a closet. Simple control panel on the arm with On/Off and Reverse Massage buttons. 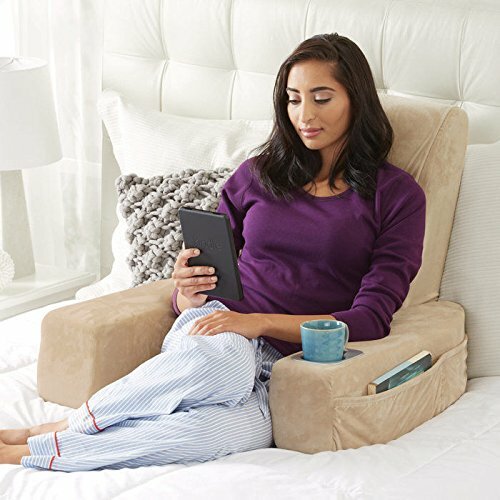 Includes cup holder and side pockets to hold your book, phone, tablet and TV remote. 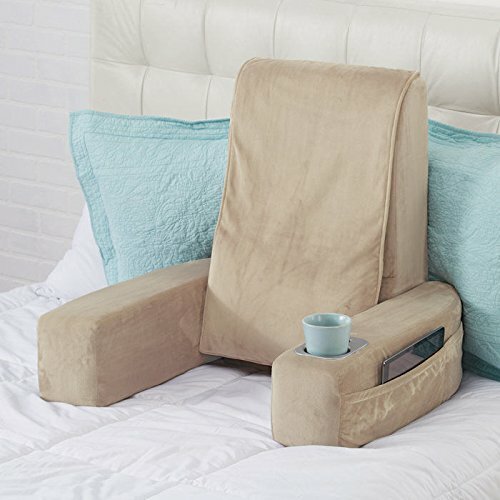 With this luxury bed rest with built-in massage, sitting in bed has never been so comfortable! 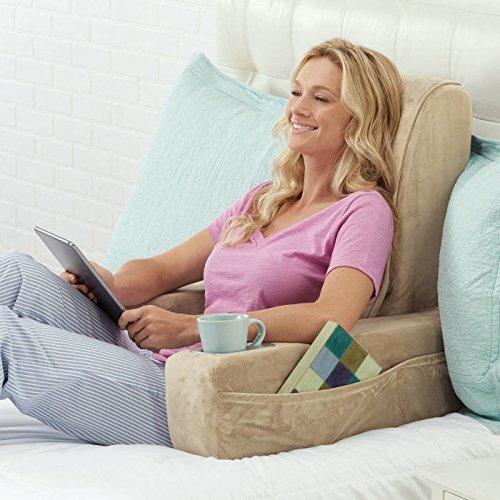 Just lean back on your Brookstone Nap Shiatsu Massaging Bed Rest, sink into the supportive foam, enjoy the ultra-soft Nap material, and melt away the day's stress with soothing Shiatsu lumbar massage. 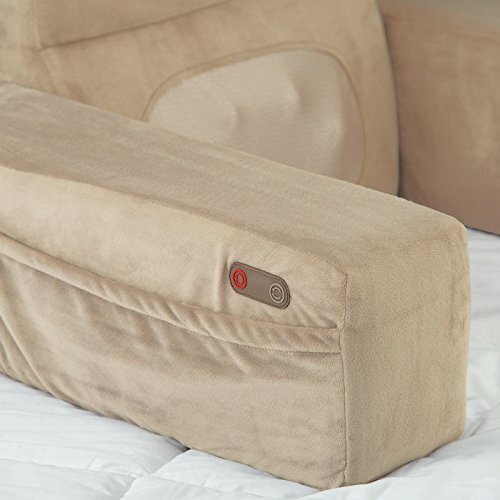 In addition, the built-in cup holder and side pocket keep the essentials close by, so you won't have to leave the comfort of this incredible bed rest until you want to.